Anyone who has been in a laser tag game will be familiar with exhilaration and excitement that you get; hiding and ambushing friends and colleagues in near darkness while trying not to be hit yourself. 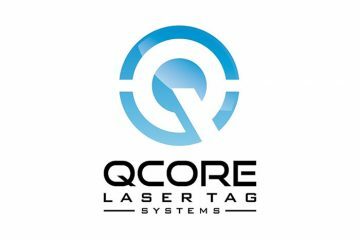 QCore Ltd is a unique entertainment company that create the latest high specification laser tag gaming equipment. Manufacturing all of their laser guns and vests, QCore are always looking for ways to improve on quality and design. This year they plan to launch their brand new INFINITY system which provides even more gaming options to enhance the game player experience. Leotronics were there to help the company achieve its design objectives with robust but competitively priced cable assemblies and electronic connectors. The new INFINTY system required 4 differing cable lengths for the design and very specific electronic connectors that could meet the physical demands placed upon the laser tag “weapon”. Data sheets, pricing details and specifications were approved for a pre-production run and an order was placed within a few weeks of testing the new system. Following this initial order QCore returned for the supply of cabling within the vests worn by competitors. QCore have a state of the art arena in which to test their products in Quasar Hemel Hempstead, the world’s only multi-theme arena featuring 5 zones including The Castle, Old West and Neon Labyrinth. Try the new INFINTY system when it launches in November this year. “Leotronics were able to provide us with an immediate response with detailed feedback to our enquiry. Once the required data was returned and approved the lead time and smooth transition were excellent. Dan and Mark are always very contactable and constantly helpful with their service.” Phil Hill, Director. If you have a design project that you would like to discuss, we’d be happy to help. With our industry experience and technical know-how, we can help you to bring your design aspirations to life. Contact us today.